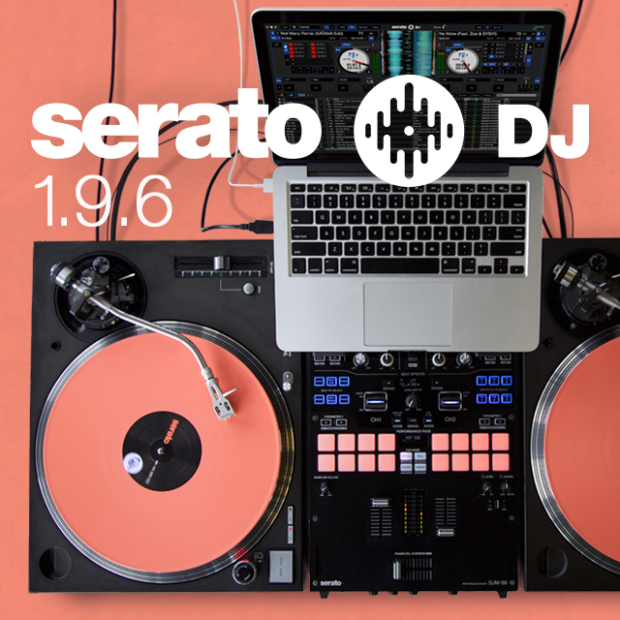 Serato DJ 1.9.6 is now available to download! With this release, Serato has focused on feedback from users to deliver one of their best updates yet. • Significant DVS improvements including the new Anti-Drift option to stabilize BPM, Smart Sync and improvements to needle drop sensitivity. • Feature improvements including Favorite FX Banks, Chronological Loops, Reordering Loops and Enable/Disable Hot Cues as an option. • Pitch Play mappings for supported hardware (requires Pitch ‘n Time DJ license). • Official support for the Reloop RMX-90 DVS 4-channel mixer. • Significant stability & performance improvements. • All Serato DJ Suite free trials have been reset, so users can take another two week trial for free. “After paying close attention to user feedback over weeks of beta testing, we are now thrilled to officially release Serato DJ 1.9.6. Our goal for version 1.9.6 was to hone in and fine tune features that are really important to our professional DJ customers. We’ve added Pitch Play mappings to existing supported hardware, Favorite FX Banks, new Looping options, improved the Needle Drop sensitivity, Sticker Lock, and more. With Serato DJ 1.9.6 , they’ve reset all Serato DJ Suite trial activations to date. So if you’ve already taken a two-week trial in the past, you can now try the full Serato DJ Suite again, for FREE. This is a great time to test out Expansion Packs like Pitch ‘n Time DJ if you haven’t already. For more information please visit these Serato blog posts below. Posted in DJ Apps, DJ Gear, DJing Tips and tagged best record pool, DJ Controller, DJ Pool, DJing, Mixing, Serato, Serato DJ on March 8, 2017 by djnickjames.